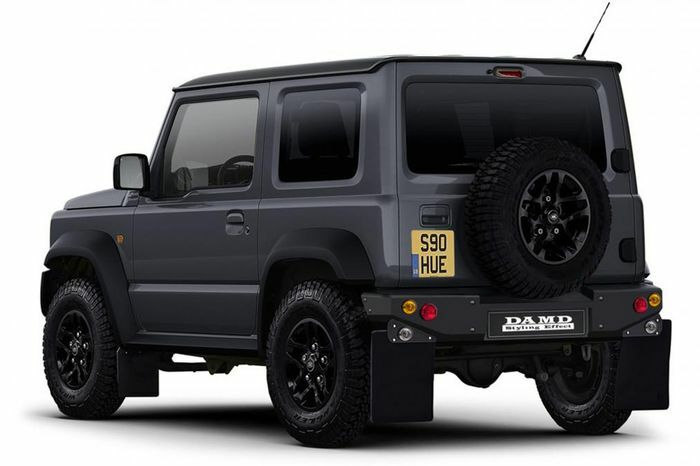 Japanese styling house DAMD has just released a body kit for the new Suzuki Jimny to turn it into a mini Land Rover Defender. And it’s every bit as awesome as you’d imagine. 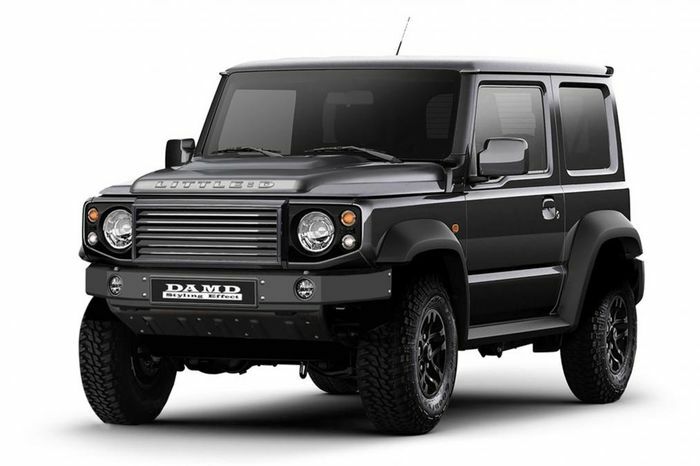 Dubbed the ‘Little D’ kit, it features Defender-style headlight clusters with separate indicators and side lights, a Defender-esque grille and a larger front bumper with a bash plate. Mud flaps, a bare spare tyre, mud-spec rubber and a rear bumper designed to look like the Defender’s visible chassis complete a look that’s impossible not to love. 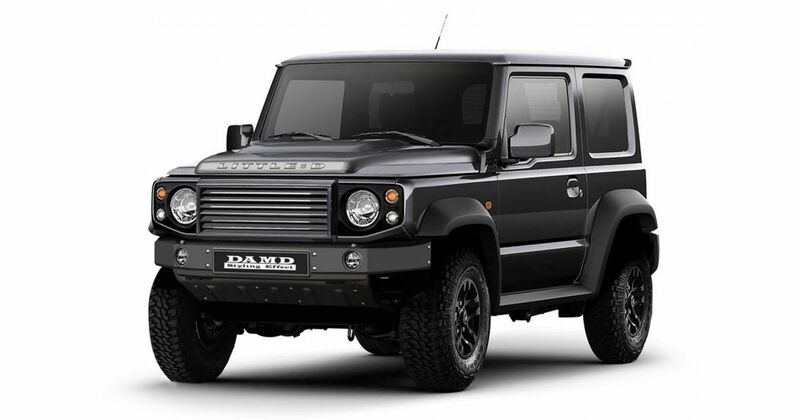 We’re not entirely convinced we’d want to roll around in a modified Jimny where the nose lettering reads ‘LITTLE D,’ but hey, at least no one could accuse you of trying to compensate for anything. If you’d prefer to stick to the G-Wagen look, DAMD conveniently also makes a G-Class copy-kit known as the Little G. The deal is the same, with styling details deliberately chosen to ape the European inspiration. It gets a new grille, Mercedes-style air vents, new wheel arches, shoulder stripes, a whole lower bumper section, multi-spoke alloys and a chrome skid plate (because bling). 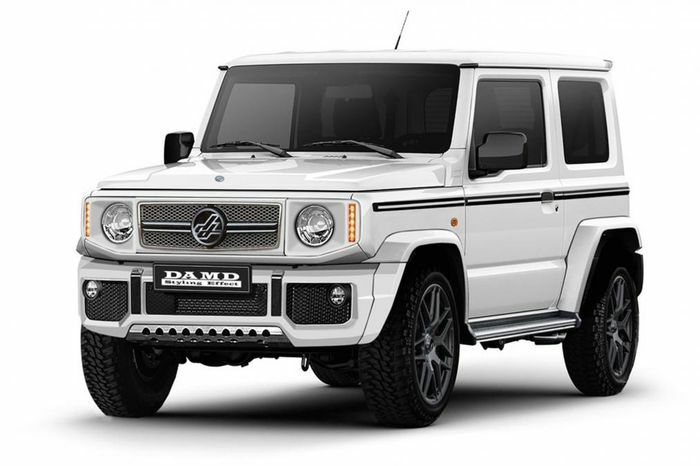 Round headlights top it off and create an amazingly faithful – if dinky – version of the big G. It’s absolutely fantastic; we reckon it’s even better than the Liberty Walk Jimny kit. We don’t know prices for the awesome new pairing but we understand that the kits will be supplied worldwide. Customers can register interest with a dedicated website when it eventually comes online.